Altra’s Superior 4 won Runner’s World “Editor’s Choice” for Best Lightweight Trail Shoe at the 2018 Outdoor Retailer Summer Market. Altra’s Superior 4 is the lightest, fastest and most adaptable Superior yet from Altra. At just 7.9 ounces for men and 6.6 ounces for women, it’s quite possibly the lightest trail shoe on the market. Altra’s new Quantic™ midsole puts soft cushioning against the ground to adapt to uneven trails for a responsive stable ride, making this the ideal go-fast trail shoe. A new stickier MaxTrac™ rubber outsole improves grip, traction and durability to easily tackle gnarly terrain. The Superior’s burrito tongue with a gusset ensures the new stretch mesh upper has minimal seams for a sleek performance fit. A new rounded heel provides more stability and a smoother side-to-side ride on uneven terrain. 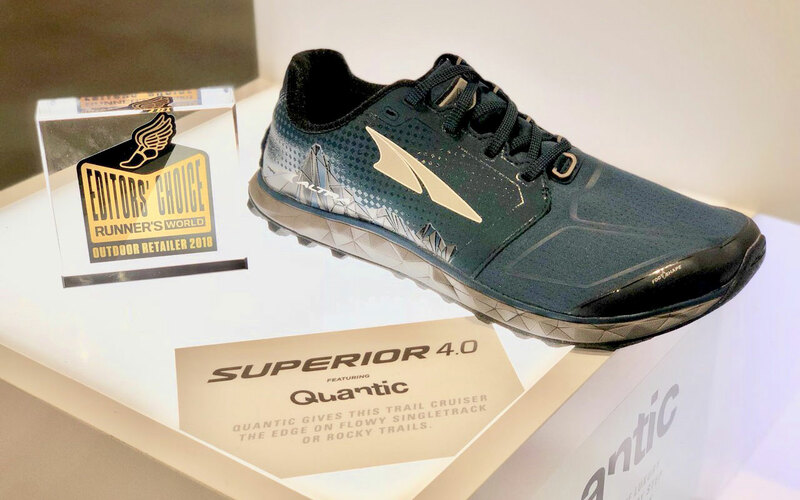 Altra’s Superior 4, along with new Spring 2019 shoes and apparel, are being showcased at Altra’s booth #49129-UL. The Superior will be available in January 2019 and will retail for $110.